During a half century of official occupation, the French built a series of fortified structures in locations considered favourable for the defence of the colony. 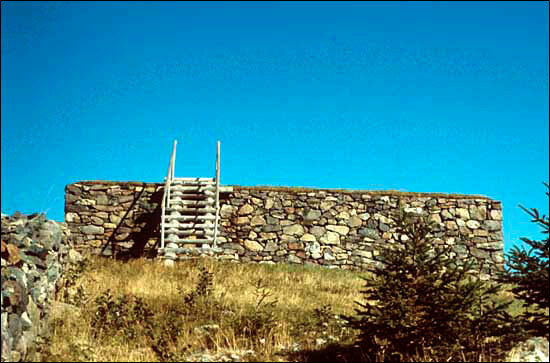 The first fortification, known as Fort de Plaisance, was built on the plateau east of the settlement, which was itself surrounded by a stockade. By the late 1680s this fort—which had simple earth ramparts reinforced by wooden stakes, defended by 32 cannon—was crumbling. It was replaced by two much more elaborate fortifications. Fort Louis, started in 1691, was built on the north side of the narrows (today's Jerseyside). It was 300 paces in circumference with two bastions, and included the governor's headquarters and garrison barracks. There was a wooden stockade protected by 26 cannons, in batteries positioned on three sides. 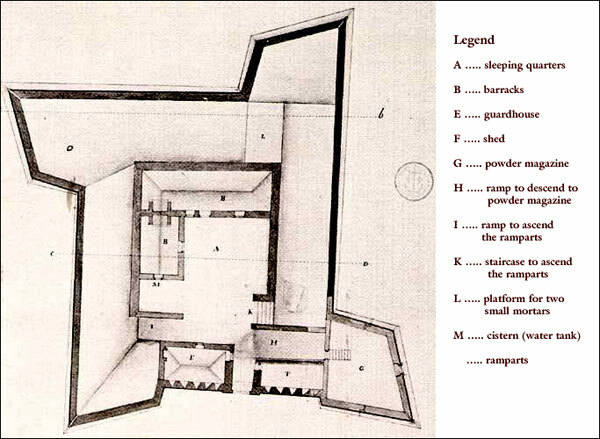 By 1703 Fort Louis was a stone structure with walls 16 feet high by 8 feet wide. On the hill above the settlement the French erected Fort Royal, started in 1693 and operational soon after. Its remains now form Castle Hill National Historic Site. Both forts remained in use until the end of the French regime. 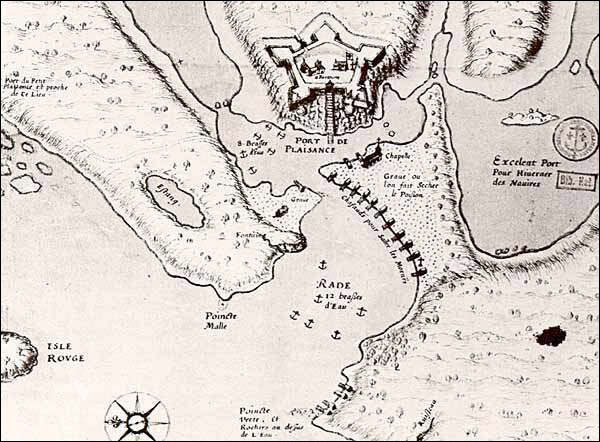 In addition to these forts, a redoubt was established on the Gaillardin, and several small batteries placed at intervals between the harbour and the mouth of the bay. Although originally constructed from wooden pickets, the redoubt was later reinforced with stone and mortar. Photo by Edward Power. Reproduced by permission of Department of Education, Government of Newfoundland and Labrador ©1982.